The doctor recommends not eating too much sugar, but student of 3D Design and Craft, Lauren Dark, has a crafty way to keep the sweetness in her life. She'll be sharing her modelling expertise, and showing us how to make miniature biscuits and marshmallows out of Fimo Soft Block clay. Split the Sahara fimo block into two equal halves and roll into two balls. 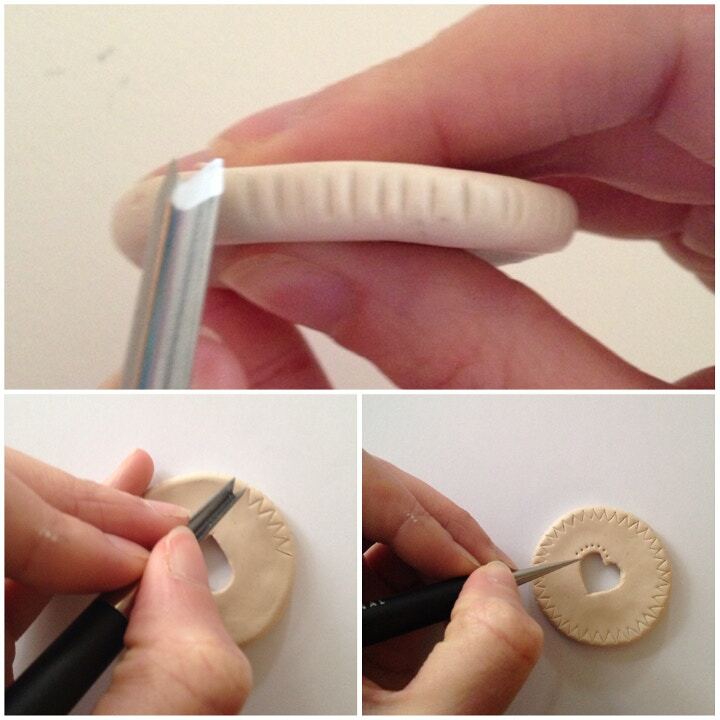 Press down with your fingers to shape each into a disc shape; roughly 5mm thick. 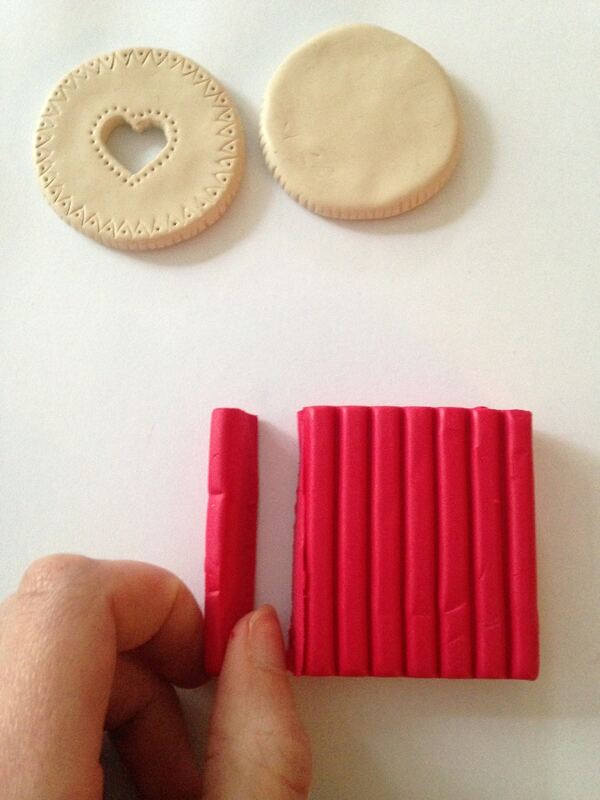 These will be the base and top of your biscuit. 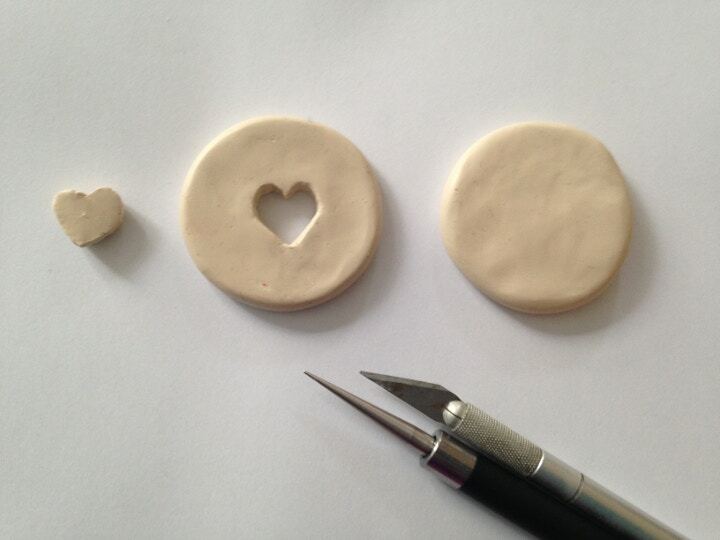 Using the Fimo needle tool, roughly draw out a small heart in the centre of one of the discs. This will become the top. Then cut out the heart using the scalpel. 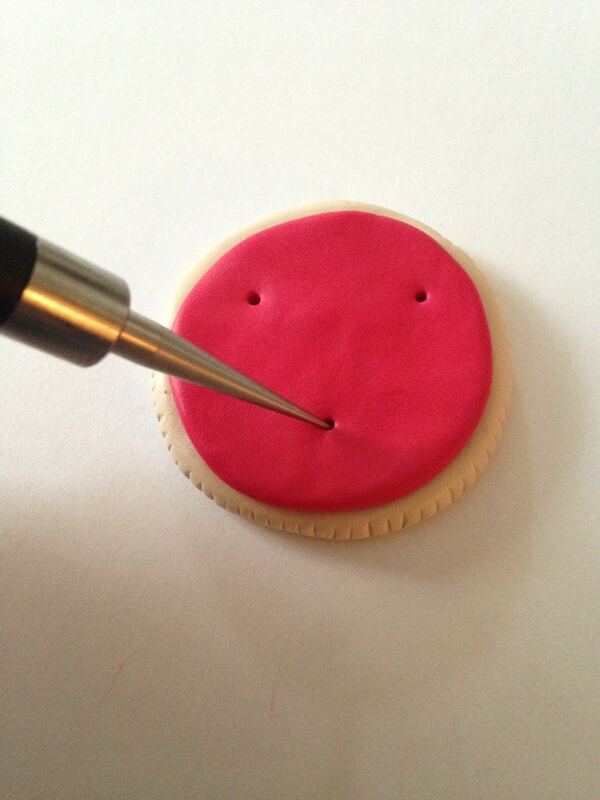 Top tip: gently push through the guidelines that you have marked out with the scalpel on one side as a guide. Then, flip it over and follow the outline on the other side. This ensures a smoother edge around the heart shape. It you are unhappy with the result, just roll it back into a ball and form the disc again! On both discs, push the V tool at equal intervals around the sides to create straight grooves. 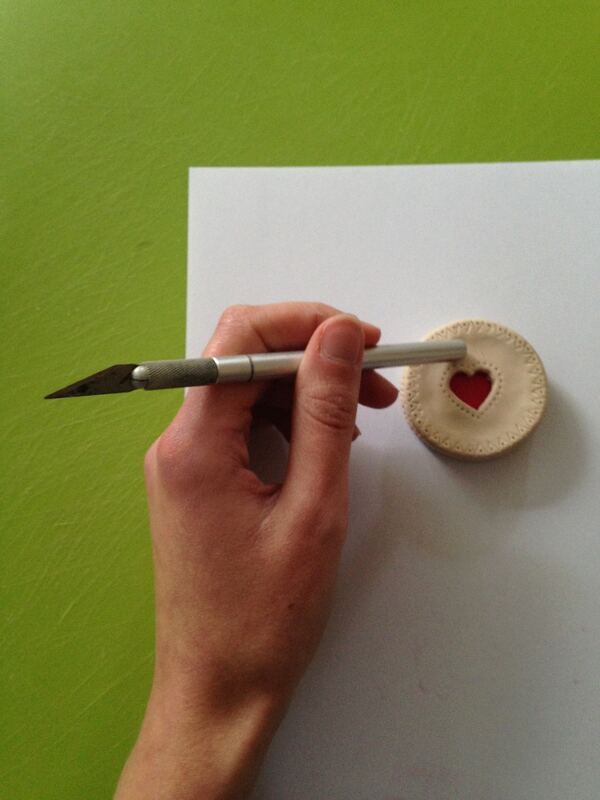 On the top disc, press the V tool into the top to create a triangular pattern around the edges and use the needle end to pierce small dimples around the heart shape. 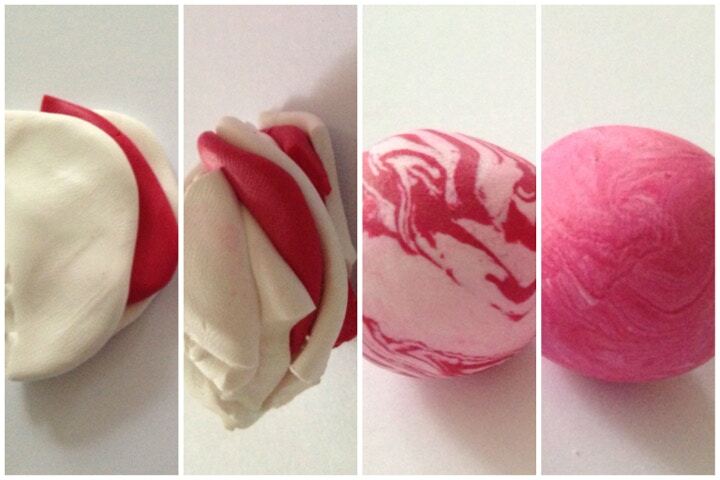 Break off one segment of the Cherry Red fimo block and roll into a ball. Apply pressure to form into a disc that is just a fraction smaller than the base disc. Using the needle end, push in at three points to help the two discs stick together. Using the end of the scalpel, rub in small, circular motions to attach the top disc to the other two. Be careful to avoid any area you have decorated with the tool as pushing on these areas will distort them. Your biscuit is now ready to be fired. Place on a baking tray and put in the oven for 30 minutes. Allow for cooling afterwards as it will be too hot to handle straight away. Before firing, the clay can be modelled as many times as you like, but after heating it will no longer be possible to remodel. Top tip: if you make a small hole in the back of the base disc before firing, it can be made into a necklace pendant or hanging decoration. Split the White fimo block into two parts; the first made up of 3 and 1/2 segments and the other with 4 and 1/2 segments. The portion with more white can be rolled up into a ball and put to one side, as this will make the white part of the marshmallow and needs no further preparation. Add half a segment of the Cherry fimo block to the other half. 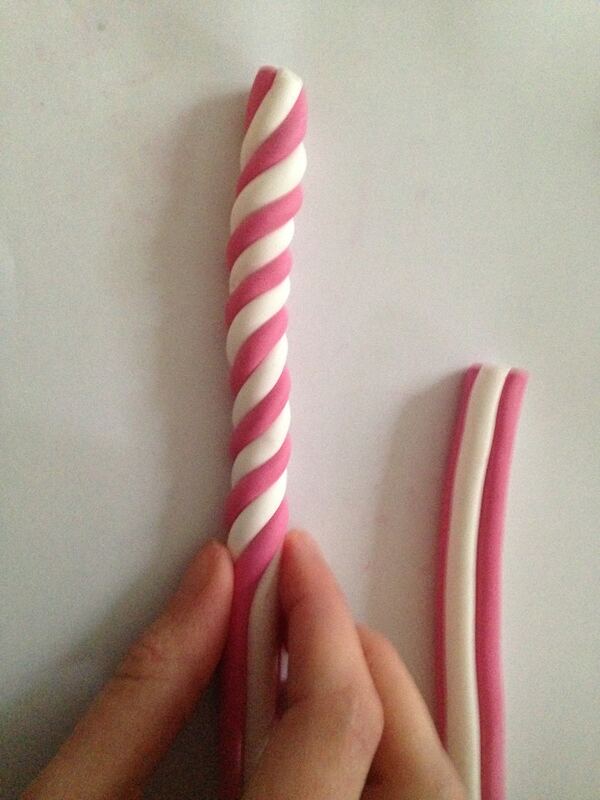 This will form the pink part of the marshmallow. Top tip: When mixing colour, always start by using approximately 1/5 of the darker colour to 4/5 of the lighter. If the colour is not dark enough, you can add a little more of the darker colour later- It is easier to make the colour darker than lighter, and requires much less clay. It may take a while to blend the colours fully, but I recommend breaking each colour down into smaller, flatter sections and layering them together; red, white, red, white. This should make it easier and quicker to acheive an even colour. It helps to have warm hands at this point! 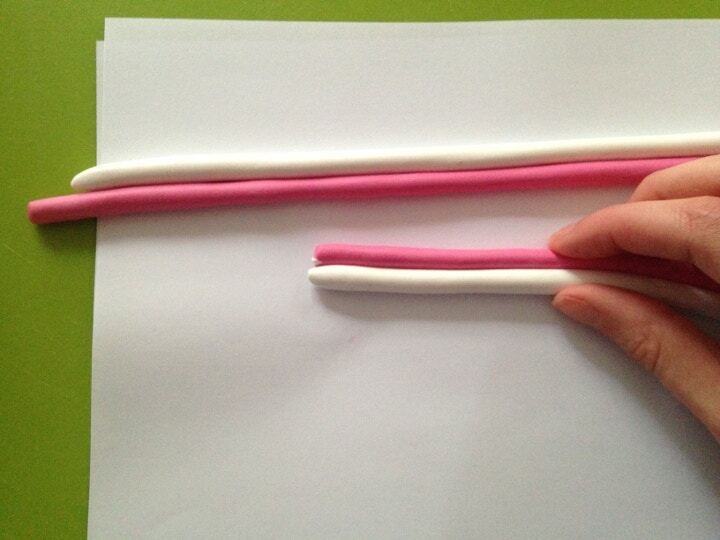 Once you have mixed your colour, roll out strips of white and pink. Ensure that you have at least two strips of each colour. 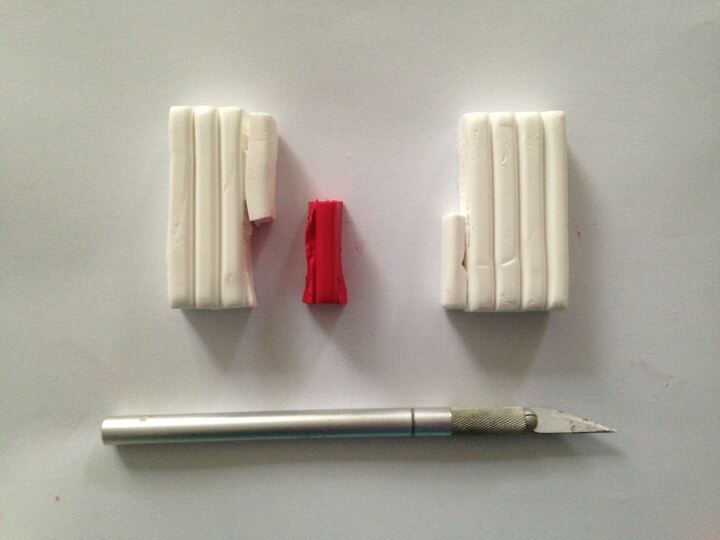 Place the first white strip on top of the pink one to create a pair. Do the same thing with the two remaining strips but this time, pink on top of white. Place one pair on top of the other so that the colours are alternating. Twist the four strips together to create the classic marshmallow look. Cut the strip to whatever length you want. Top tip: To avoid the clay distorting when cutting, push your scalpel 1/3 of the way into the clay so that the blade is perpendicular to the strips. Roll the strips away from you so that the blade cuts evenly through. This will stop the pressure of cutting from flattening the ends. Your mini marshmallows are now ready to be baked for 30 minutes. Top tip: Before placing them in the oven, push some wire through the middle so that they can be threaded onto a bracelet or used as a charm to decorate greetings cards. You're now the proud owner of some enviably beautiful sweet-treats, 100% guilt-free! Take a look at more of Lauren's work here. 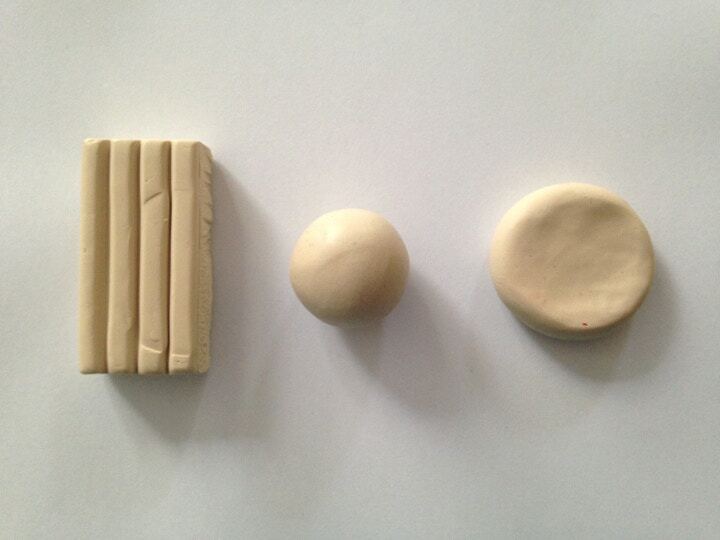 Shop for Fimo Soft Block clay and modelling tools online at Cass Art. Explore our full range of craft products on our website.